Where are the tombs of the sultans of the Alhambra? 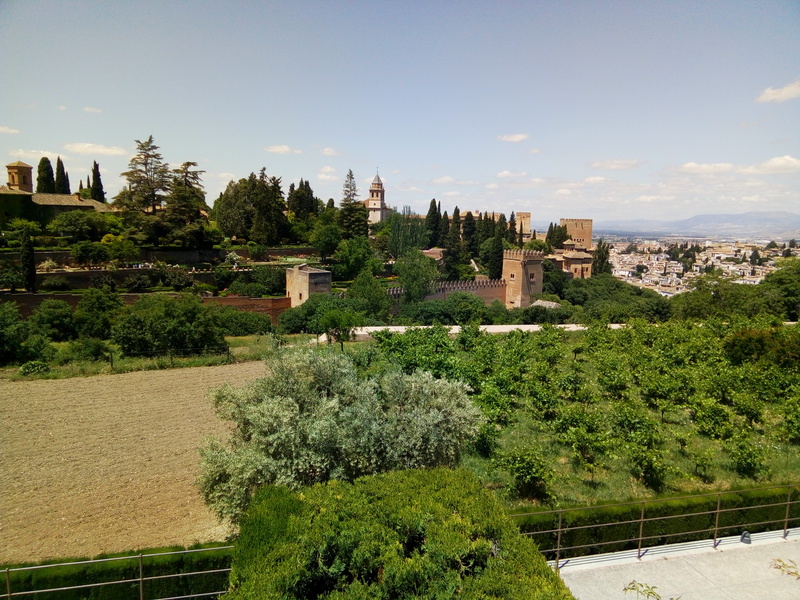 It is one of the questions that we always ask ourselves, and throughout this article, we will shed light on some of the unknowns about this topic: the burials in the Rauda de la Alhambra. I think it has always been clear that these remains of the Rauda alhambreña moved to the valley of Lecrín, to Mondújar, but my main question was to know if they were still resting there, or if Boabdil in his exile to Fez took them with him, that they were the two most pausible theories, although, there are others. Here he was in the Rauda de la Alhambra, most of the Nazarite dynasty buried, until the arrival of the Reconquista and, in 1491 they were unearthed and buried in Mondujar. This fact seems clear and little refutable, because Boabdil passed through here and it seems that, in this place, his wife Moraima was also buried when he died, more specifically, in the Mondújar mosque. At the beginning of the 21st century, on the occasion of the construction of the Granada-Motril highway, an archaeological intervention was carried out. They appreciated that the Mondújar macabre had been removed previously, probably in 1988 for the construction of the old ring road of the town. On that occasion, there was no archaeologist or any precautionary measure. Thus we arrived in 2002 and these excavations showed surprising results: it was confirmed that Mondújar was the burial of the sultans of the Alhambra. 70 graves were excavated with very different results, since there were tombs with complete corpses, with corpses stacked, or empty. It was thought that the empty tombs were to bury the crimes of the deceased as was ancestral Muslim custom, but it was likely that at this time this practice was in disuse. It was suspected that Boabdil secretly unearthed them and took them to North Africa, which I myself was very prone to this possible theory that seemed right and logical, not wanting to leave Muslim bodies on Christian soil. The disappearance of the bodies was also thought of by some chemical reaction, but this seemed to be very unlikely, or that everything had been done as a simulation, which also does not seem credible to me because it is a waste of time. From here we came to certain conjectures through certainty and it was certain that Boabdil would not go in the summer of 1493 to bury his wife Moraima and dig her up a month later to take her to Fez, would not he? Although I have my doubts in this theory, because it could well take his deceased wife in to his last retirement. All the documentation of what Boabdil took to Fez is perfectly detailed by Pedro de Zafra and Gonzalo Fernandez de Córdoba, indicating goods, people and ships that he took with him, with extensive details, but nothing related to his ancestors and ancestors or human remains. The most logical thing is that in 1988, the first Mondújar ring road was removed, in fact, many people who worked here witnessed the remains of bones quite often. But at that time there was still the conservative mentality of today, nor archaeological excavations had the exquisite rigor of today. Thus, in 2003 the most important area had been removed but the most feasible is that a large part of the Nazari family rests under the asphalt layer of the road that leads to Motril.